The great news is that it&apos;s easy to have github pages offer up a p2p served alternative when using Beaker Browser. This has the promise of offering a web that is greener, faster, and offline friendly. The original guide is pretty straightforward. 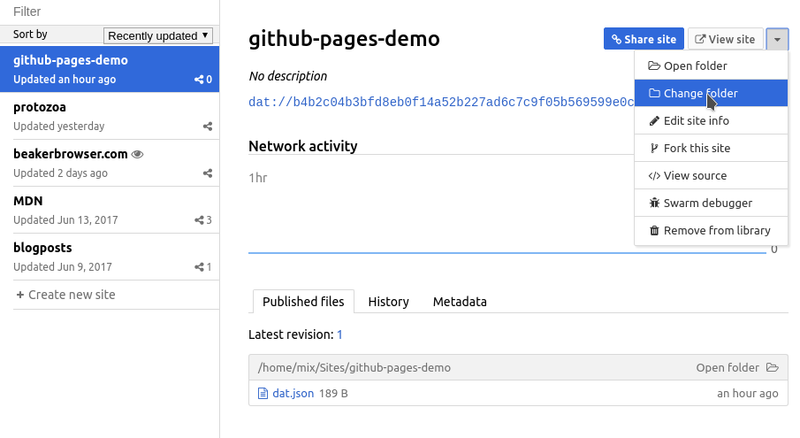 This is a stepwise guide for people new to Beaker + DAT, and shows you how to make a github page with a custom domain p2p friendly. You need https for Beaker to be able to securely confirm the DAT alternative of your site. Raw github pages (e.g. 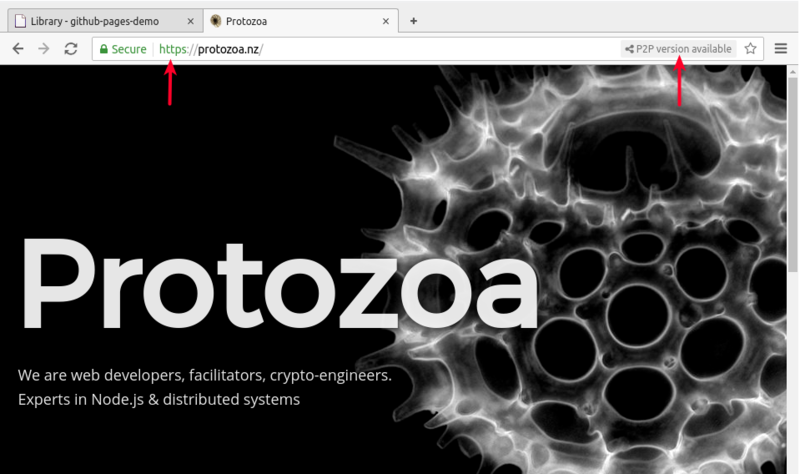 protozoa-nz.github.io) come with https by default. Unfortunately, when you add a custom domain, you lose https (this is an outstanding issue). The simplest solution is to run your DNS through CloudFlare. I recommend Steps 2 + 3 of this guide. This assumes you already have a github pages repo. If you haven&apos;t already got the Beaker Browser, go get it here. Beaker makes it a piece of cake to browse the p2p web, and also to publish sites there. Notice that Beaker has staged new changes ready to be commited and published and I&apos;m about to publish way too many files (like all my /node_modules and a messy ol /build folder). You can see the extent of the problem by clicking Show more to see how many files you&apos;re about to p2p. 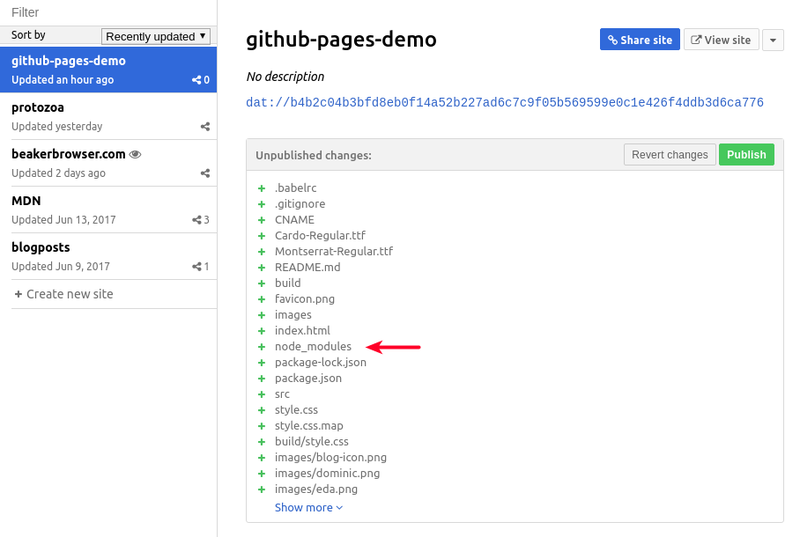 (3) Push your changes to github, and publish your changes to DAT. p2p is powerful, AND because it leverages peers, if no peers are online, first time visitors are going to have a hard time. Hashbase is a super easy to use service which offers peer-as-a-service. You just tell it what DAT repo you want always online, and it makes it so. It also offers a handy https link for any sites you&apos;d like to offer accessible portals to. I&apos;m hoping in the future I&apos;ll be able to point my DNS records directly there.